A 70-year-old nonprofit that works with children and adults with disabilities held a groundbreaking for a multi-phase campus redevelopment. Globeville-based Laradon started phase one of its $6 million project, which will connect two buildings on the 10-acre campus. The combined structure will open in July this year. Later phases of the project include a new apartment building on an empty lot west of the main campus. The land has been leased to Gorman and Co. 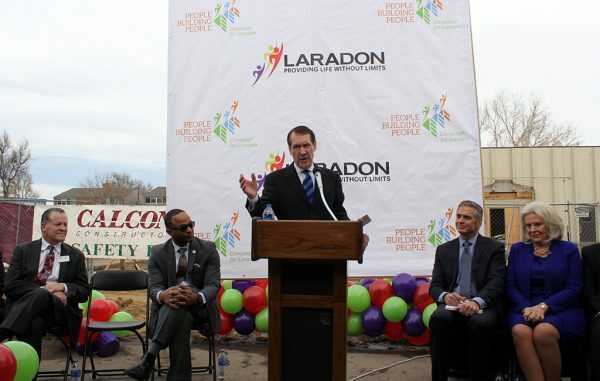 The developer is building 250 affordable apartments, some of which will be used to house students and staff at Laradon. So far, the nonprofit has raised $3.5 million toward the project. The Daniels Fund donated $750,000 toward the campaign. Laradon first opened in Denver in 1948. Founders Joseph and Elizabeth Calabrese founded the school to give their sons Larry and Don a safe space to learn.